Pawoon cloud-based POS app are utilized by thousands of business owners to improve their efficiency and productivity. Be part of a company that transforms the face of Indonesian business. 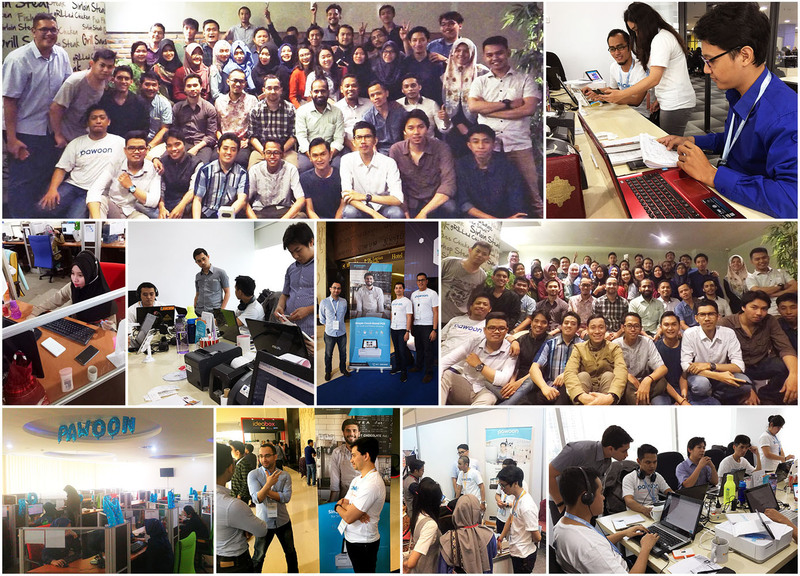 As one of the fastest growing application companies in Indonesia, Pawoon is the right place for you who want to build a career and improve professional skills. … is a nickname for Pawoon team members. They came from different backgrounds. They are very independent and expert in their fields, but still put collaboration and team as number one priority. Solid teamwork keeps all tasks done well and on time. Keep developing and never stop learning..
Give the best effort in providing useful solutions for customers. Start accepting order in minutes. No contract and no upfront payment. Try free for 14 days.